📝 Note: Make sure that Create an Account is toggled to on to be able to edit this. A customer can join your loyalty program by making a purchase or by signing up through your loyalty widget. 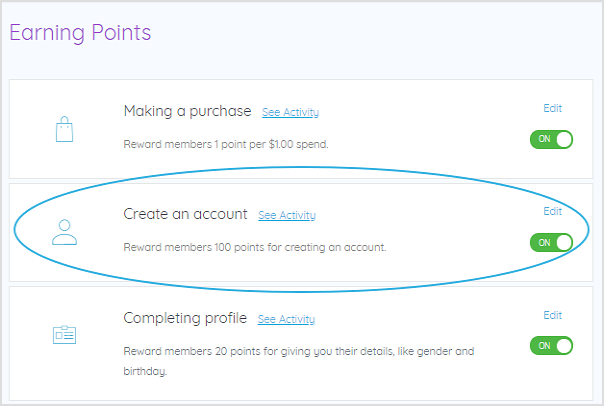 When they join they will automatically receive their creating an account points reward. 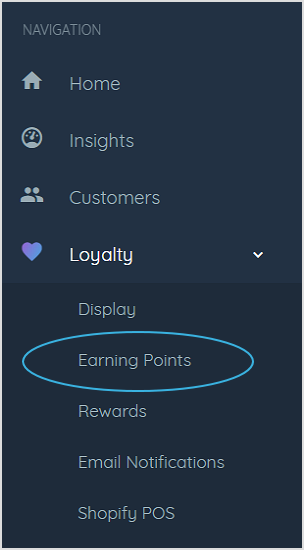 If a customer already has a customer account with your store, they simply won't see the option to Create an Account in the Earn section of your loyalty widget. 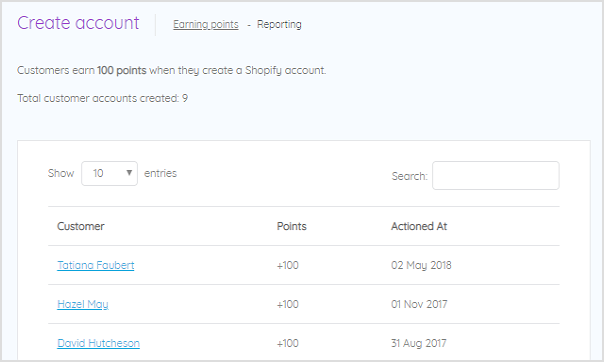 💡 Pro Tip: Give your new members enough points for creating an account that they are close to unlocking their first reward. This will encourage them to spend again.